"There are thresholds that humanity should not transgress if we intend to keep most of the Amazon forest," Brazilian scientist Carlos Nobre had once said. He has won the Volvo Environment Prize for 2016 for playing “a pre-eminent role over several decades in research into the Amazon rainforest, including cutting edge research in Earth system science”. Revered as the ‘Guardian of the Amazon’, Nobre is one of the best known climate scientists in Brazil whose work has been focussed on understanding and protecting the Amazon—the largest tropical forest in the world and one of the earth´s most important ecosystems. As deforestation and other impacts of anthropogenic activities in the Amazon have become a recurring concern among environmentalists, he has warned that persistent logging may transform rainforest into savanna-like region, affecting the role that the Amazon has in the global ecosystem. The Amazon rainforests are home to between 10 and 15 per cent of all the species found on land. The forests store between 100-120 billion tonnes of carbon and the Amazon rain generates about 15 per cent of all freshwater that flows into the world’s oceans. 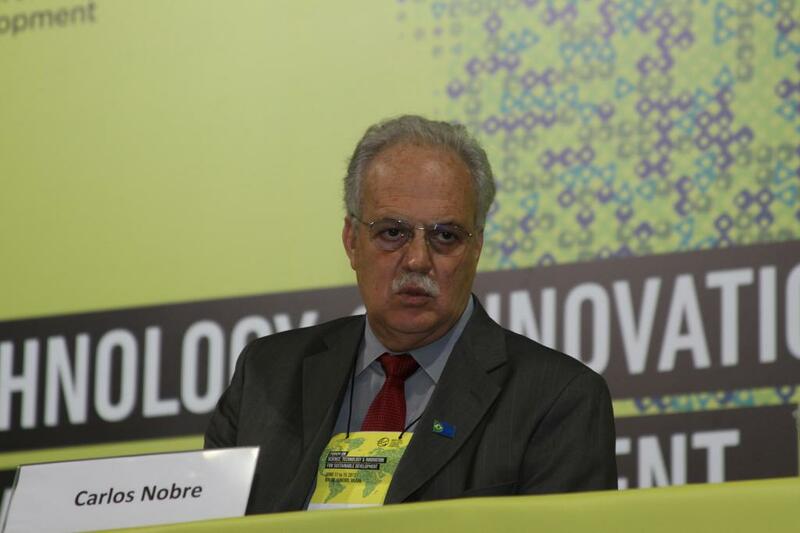 After an illustrious career as a professor, Nobre was appointed Secretary for Policy and Research at the Ministry of Science and Technology in Brazil in 2011. In 2013, the UN Secretary General Ban Ki Moon appointed him to the newly created Scientific Advisory Board. Nobre is also a member of the Intergovernmental Panel on Climate Change (IPCC). He has been advocating new ways of reducing deforestation by focusing on the value of forest products. According to him, the Amazon could reach a tipping point and the damage may be irreversible if warming exceeds 4°C or more than 40 per cent of the forest area is cleared. Nobre had recommended the introduction of "bio-industries all over the Amazon, tapping into the tremendous natural wealth from the sustainable use of the region's biodiversity". The climate scientist also chaired an international research initiative to create new knowledge to understand the ecological, bio-geochemical and hydrological functioning of Amazonia. He believes that preserving the rich and vast resources of the Amazon and combining it with innovations in artificial intelligence, synthetic biology, DNA editing and bio mimicry will secure the future for the Amazon. The Volvo Environment Prize is one of the world’s most prestigious environmental prizes. Each year, it is awarded to those who have made outstanding scientific discoveries in the domain of environment and sustainable development.